According to our Wentzville, MO, orthodontist, a Flexible Spending Account, or FSA, is a type of financial vehicle that allows you to set aside money for specific out-of-pocket medical expenses, such as doctor visits, prescription drugs, vision, and dental care. Read more to learn about the benefits of an FSA when it comes to paying for orthodontic treatment for yourself or your family. Another benefit of a flexible savings account, according to our Wentzville orthodontist, is that you make your contributions through pre-tax deductions from your paycheck – which not only saves you significant taxes, but the contributed amount is also not taxed. The money you set aside with each paycheck is then used to reimburse any eligible expenses not covered by your regular health insurance plan. According to our Wentzville, MO, orthodontist, there is an important distinction between an FSA and an HSA, or Health Savings Account. While both accounts are funded through pre-tax payroll deductions and are used to pay for qualified health care expenses, an HSA can only be used in conjunction with a high-deductible health insurance plan. An FSA requires that you determine how much you will contribute at the beginning of the plan year, so this type of account is particularly helpful when you already know that you or your dependents will incur eligible out-of-pocket medical expenses, like orthodontic treatment. 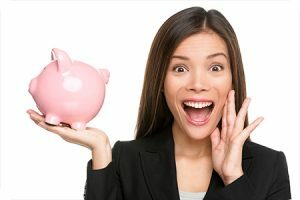 The disadvantage of this type of savings account is that it is referred to as “use it or lose it,” which means that you will forfeit the money if it is not spent by the end of the plan year, cautions our Wentzville, MO, orthodontist. However, some plans will you another two months to use up the FSA’s balance beyond the deadline. Fund Your Child’s Braces with Your FSA, Advises Our Wentzville, MO, Orthodontist. Orthodontic treatment – from braces to Invisalign – is a fixed cost, which makes using an FSA especially convenient. However, because orthodontic treatment usually lasts longer than one year, it is important to remember to only set aside funds you will use to pay for treatment in that specific plan year. Our helpful team at Borello Orthodontics will be happy to meet with you to make your FSA work best for your budget planning. The information provided in this article is not meant to be medical advice and is for educational purposes only. If you would like to learn more about using your FSA for orthodontic treatment, feel free to contact Borello Orthodontics, with a convenient orthodontist office near Wentzville, MO, by clicking here or by calling 314.821.2400.